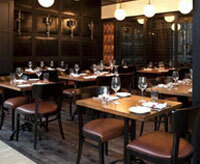 Fire & Sage brings you the finest in Regional American Cuisine in the heart of Downtown Washington DC. Executive Chef Aaron Tootill uses the freshest ingredients and classic techniques with a straight forward approach. 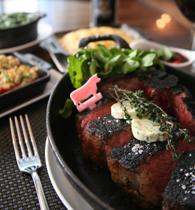 The refined chic look of our main dining room combined with brick oven classics and approachable wine list, delivers an unparalleled dining experience. Look for Fire & Sage�s daily specials and daring happy hour! 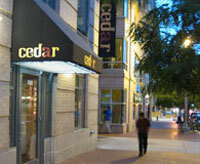 Cedar Restaurant is a new upscale urban style restaurant. Classical French technique meets ingredient driven sensibility to create contemporary American cuisine with natural, clean flavors and vibrant presentations that highlight the expressions of the seasons. 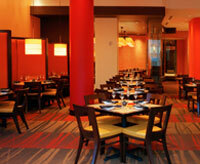 TenPenh is located in the heart of DC on America's Main Street. Pennsylvania Avenue. 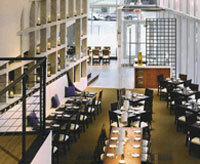 The cuisine is American Contemporary with Asian influences. The Decor recalls Hong Kong in the 1930's. AGAINN is a British Isle Bistro that focuses on organic, sustainable, locally-produced ingredients and family-style dining. 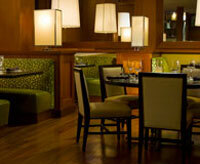 Our bar features artisanal cocktails, an international wine list plus an extensive beer menu and Scotch program. We are a place to gather - your thoughts or with friends - and enjoy traditional British Isle cuisine presented in modern ware. Until we meet, Againn. Drink slowly. Eat well. Speak kindly. 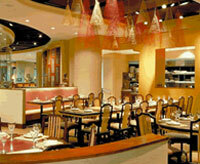 Zaytinya invites you to explore the spirit and cuisine of Greece, Turkey, and Lebanon with the concept of Mezze. Zengo, which translates to "give 'n take", merges flavors of Chef Richard Sandoval's heritage with his passion for Asian cuisine. This melding of flavors and cultures results in intriguing shareable dishes.